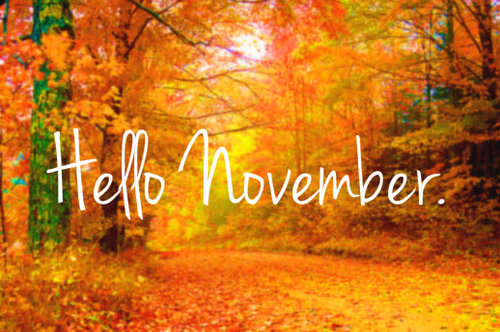 It seems that November starts off with the calmness of Fall and the beautiful color of the leaves. The brilliant colors of red, orange and yellow catch our eyes and calm our soul as they drift down on their journey to the ground. It seems like the days are passing by and we can catch our breath after the excitement of Halloween has passed. But then the thought hits you and you realize right now, it’s about eight more weeks till Christmas! Do you have this excited look of Woohoo! Or maybe OMG the Holidays are here and have snuck up on me already! It seems like now and through the Holidays meaning after January 1st, the days get jam packed with preparing for the Holidays, enjoying the Holidays and then cleaning up and getting back to normalcy after the Holidays. Want some ideas to help stem the tide of the Holiday stress? First talk to yourself and know it is OK to say NO. We always, me included try to stretch ourselves way too thin at this time of year. This is not good for our friends and family and most of all for ourselves. Decide what you can and cannot do. And if you need to buy some Christmas cookies instead of bake everything, know that it really is OK.
Start making your to do list and break that down into these next eight weeks- start with some general things that need to get done such as first getting your Thanksgiving planned and when to get your tree and then drill down deeper and be more specific. Ask for help during this time and try not to do everything yourself. You may be surprised at what children and husbands can actually do. Take a break and get out and walk in the sunshine every now and then. This is good for clearing your head and planning out what next needs to be done. Walks make for good down time. Chamomile Tea is an excellent way to distress as opposed to that Starbucks coffee. There are many refreshing and fine offerings for many different tastes in those tea sections. Putting a drop of Lavender Essential Oil on a tissue can help soothe and calm as well as the uplifting scent of Orange Essential Oil. Breathe in that Essential Oil fully and breathe out. Take a few moments to appreciate the scent. And lastly, run some warm water into your tub, sprinkle in some bath salts and shut the door. Light that candle and get in and relax and think pleasant thoughts! How do you put time aside for yourself? How do you distress and will you?